Membership in the QPR Cash scheme is automatic for all Season Ticket Holders, members and seasonal hospitality clients. If you do not wish to take part in the Scheme, please opt-out by emailing [email protected]. By taking part in the scheme, you agree to comply with these terms and conditions. Membership of the scheme cannot be combined with any other QPR offers or promotions. Exceptions may be decided by the club and will be communicated in situations where QPR Cash is available. The Club’s decision as to the amount of the initial balance issued to Season Ticket Holders, Members and Hospitality Clients is at the club’s discretion. The Club’s decision is final and no correspondence will be entered into. QPR Cash is only awarded based on a supporter’s Net Spend. Net Spend means the total price paid by a qualifying member after the value of any QPR Cash redemption has been excluded from the transaction. For example, if a qualifying member bought a £45 home jersey which was partly paid for using £5 of QPR Cash, the qualifying member’s Net Spend would be £40. As per point 5, seasonal hospitality clients will not receive QPR Cash on their complimentary home cup tickets as per their seasonal package. In most cases, QPR Cash balances will be updated 30 days after the relevant qualifying purchase. Between the date of the qualifying purchase and the date of the QPR Cash being issued, all QPR Cash will be treated as “pending”. Season Ticket Holders & Corporate Members must produce their Season ticket card or Membership card at the time of purchase. QPR Cash will not be issued (or will be cancelled) in circumstances where a purchase of any kind has been refunded after purchase. QPR Cash cannot be exchanged for any other Club vouchers. Exclusions to redemption may apply from time to time and will be displayed on the Club’s website at www.qpr.co.uk where applicable. When redeeming QPR Cash in person, qualifying members must produce their Season ticket card or membership card at point of sale in order to redeem QPR Cash. Hospitality clients must inform the cashier of their client reference number. The Club reserves the right to ask for photo identification upon redemption of QPR Cash. Once a qualifying member has redeemed a certain value of QPR Cash, their QPR Cash balance will be reduced by that amount. If a qualifying member accrues and redeems all of their QPR Cash, their QPR Cash balance will reduce to and restart from zero. To suspend or terminate any qualifying members QPR Cash account and/or cancel any QPR Cash collected by a qualifying member at any time where reasonable e.g. where there has been a breach of these terms or conditions or in cases of suspected fraud. If a qualifying member’s season ticket card or membership card is replaced for any reason (e.g. lost or stolen) then the balance of their QPR Cash will be added to the new card within 24 hours of issue. If the season ticket card or membership card has already been redeemed at the point that the season ticket card or membership card becomes lost or stolen, then the newly issued card will have no QPR Cash included. If any product purchased with QPR Cash is exchanged or refunded, any money owing as a result of such exchange or refund will be added to the balance of QPR Cash on the qualifying member’s QPR Cash account. Cash refunds are not available in these circumstances. 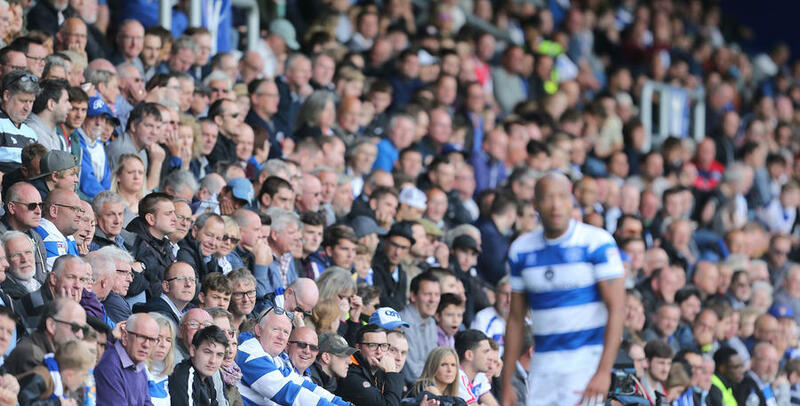 QPR Cash is non-transferable between qualifying members and any other individual. QPR Cash cannot be exchanged for cash or for a paper voucher. The minimum spend required in-store or online to redeem QPR Cash is £1. As Season ticket holders receive a 10% discount in the QPR superstore and at www.shop.qpr.co.uk, they will only earn their QPR Cash on their Net Spend. For example, if they item usually costs £20, and season ticket holders use their discount to pay £18, they will receive their QPR Cash on their net spend of £18. If a season ticket is cancelled for any reason, then the QPR Cash balance related to that Season Ticket Holder will be void and the Club accepts no liability in these circumstances. The Scheme will expire automatically on 31st May 2018. Therefore, any QPR Cash not redeemed before that date will be null and void. The Club will send email reminders to warn supporters when their balance is about to expire.